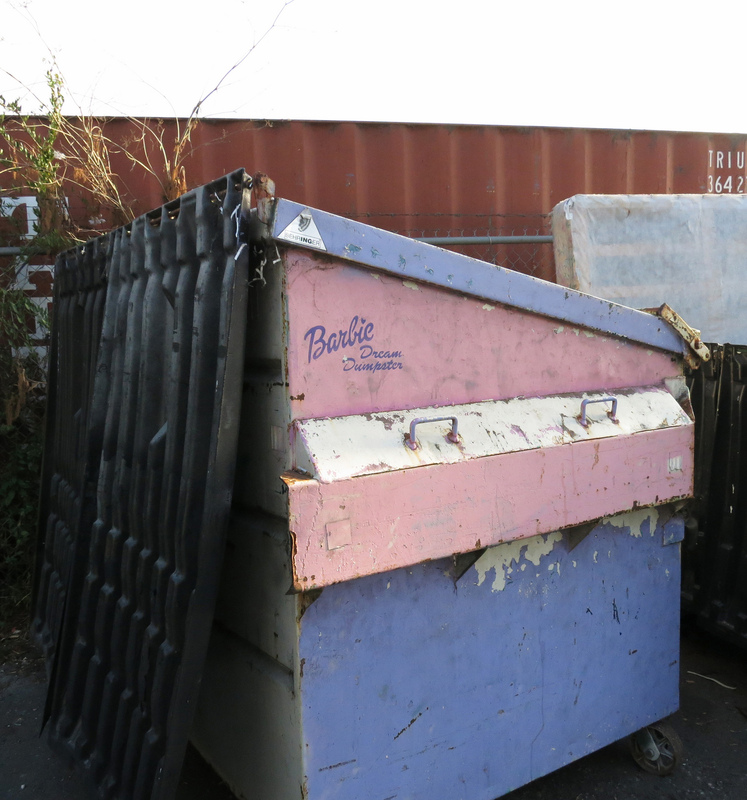 This entry was posted in street and tagged barbie, dumpsters, graffiti, oakland, rustyblazenhoff on July 19, 2013 by jonathan. I really wish I knew more about this, but I don’t. Apparently, it’s near Moscow. 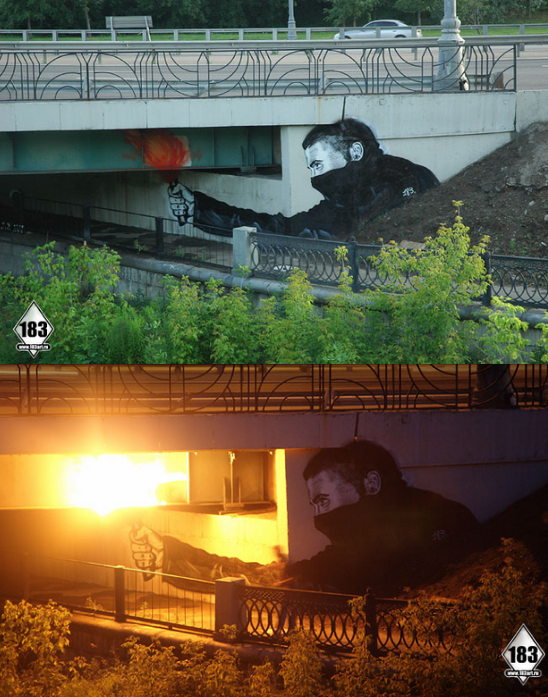 This entry was posted in photo, street and tagged bridgesinstigators, graffiti, moscow, video on June 14, 2012 by jonathan. Street animators Blu‘s new video “Big Bang. Big Boom.” The story from the Big Bang to the nuclear armageddon. 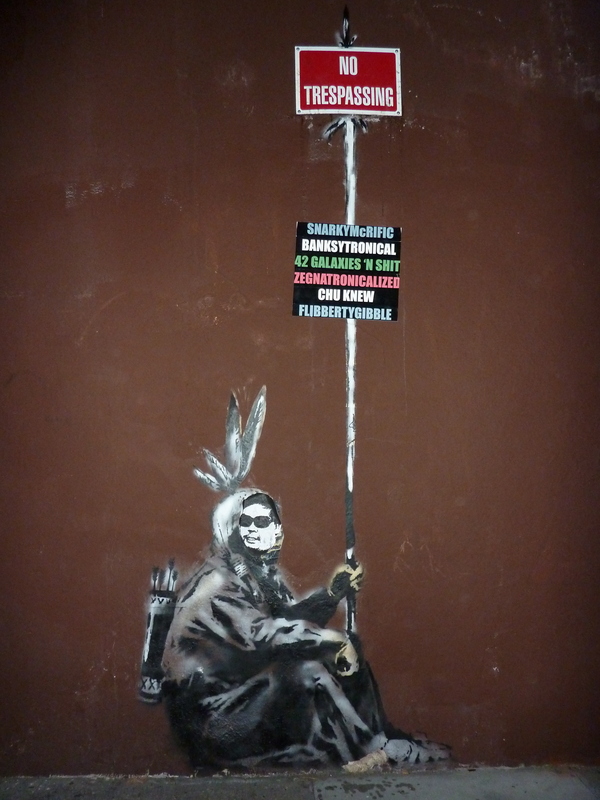 This entry was posted in animation / interactive / film, street and tagged films, graffiti, video on July 9, 2010 by jonathan. 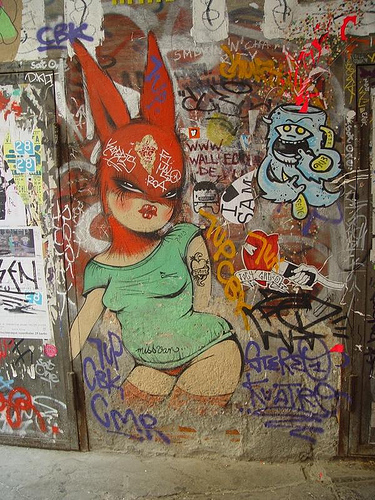 This entry was posted in photo, street and tagged a/b, berlin, eschschloraque, graffiti, lucyswork, missvan on June 7, 2010 by jonathan. Back in 2009, I mentioned that the famous Berlin Wall graffiti Brothers’ Kiss was destroyed during restoration work on the The Wall. The artist, Dmitri Vrubel, vowed to recreate it, but in a new form. 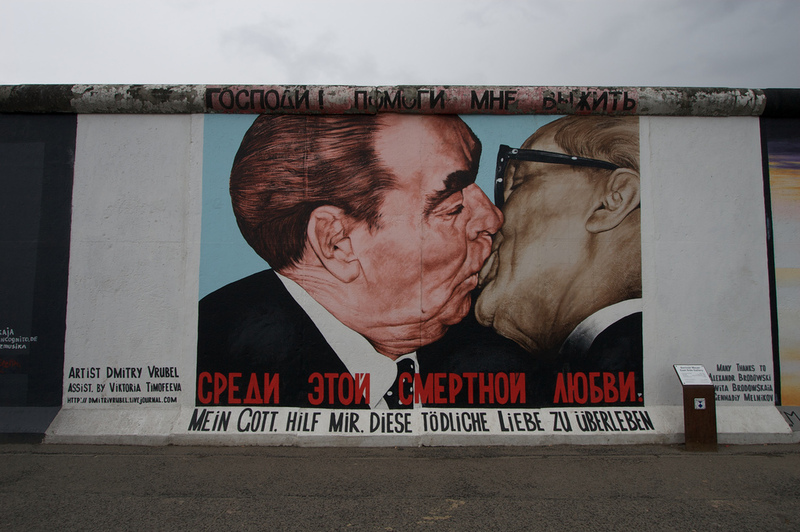 My friend John, recently got back from Berlin and happened to photograph the new Brothers’ Kiss. This entry was posted in street and tagged a/b, berlin, berlinwall, dmitrivrubel, eastsidegallery, graffiti on June 7, 2010 by jonathan. Long live the 12 Galaxies. 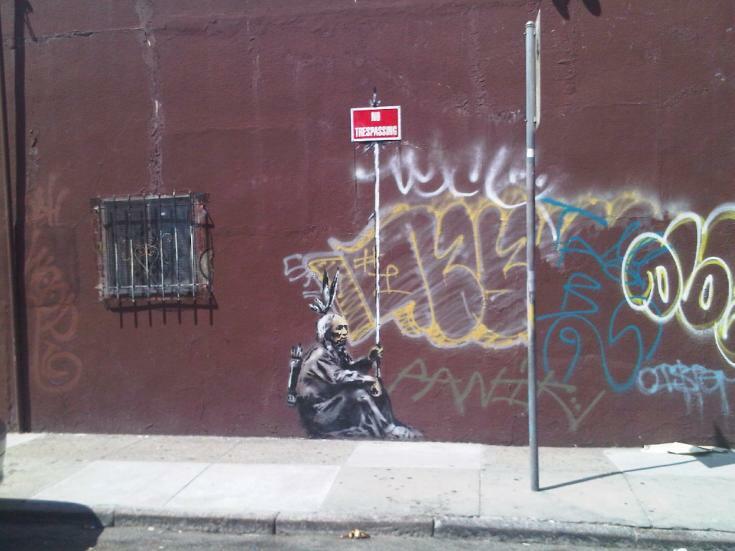 This entry was posted in photo, street and tagged a/b, bansky, frankchu, graffiti, sanfrancisco on May 27, 2010 by jonathan. 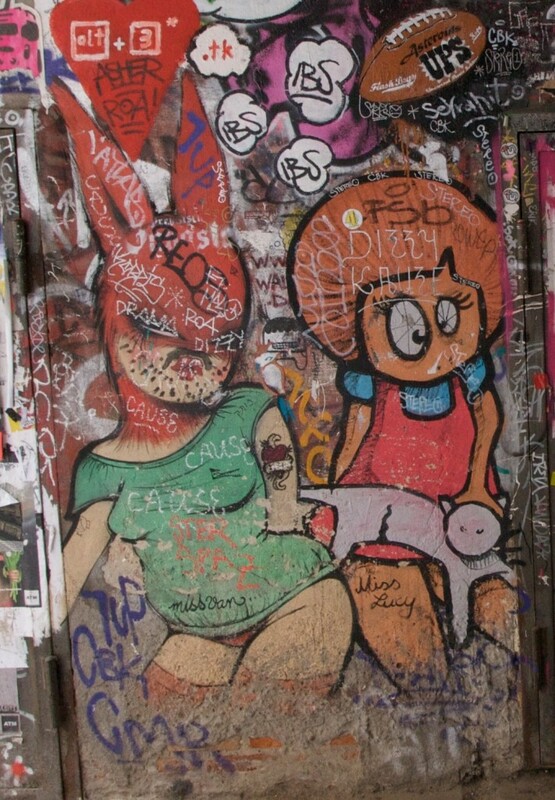 Berlin graffiti artist Sweza has created an interesting take on street art. Since graffiti frequently gets buffed, Sweza has started taking photos of the art before they get removed. 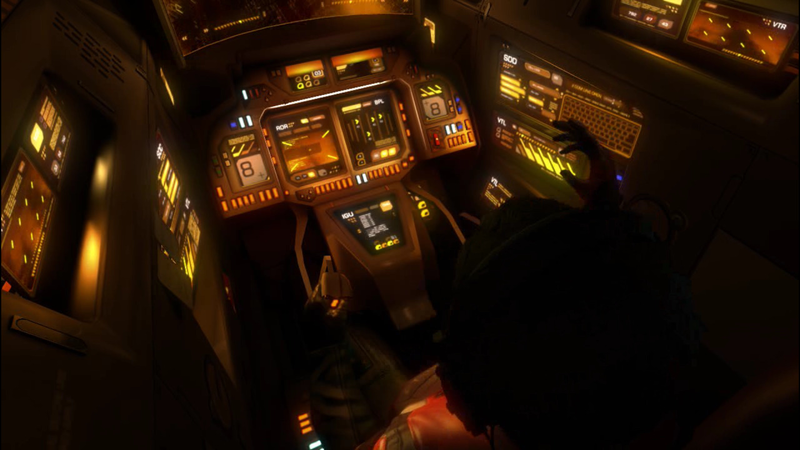 Once they are removed, he places a QR code at that location. 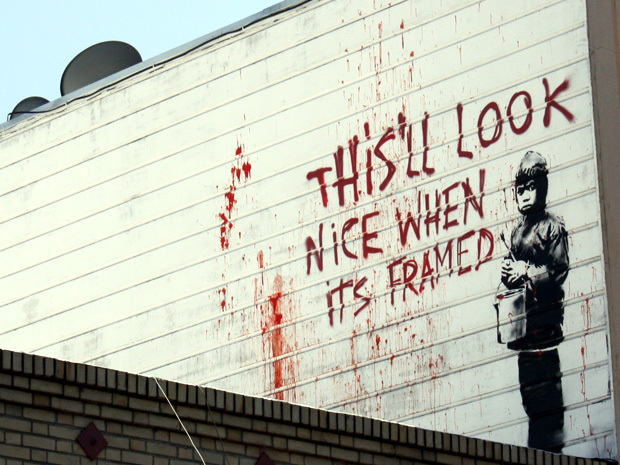 Using his Graffyard iPhone app, users can retrieve an image of the previous graffiti on their phones. It would be interesting if multiple images are stored for the same location, if one could use Graffyard to travel back in time and see the previous graffiti in that location. 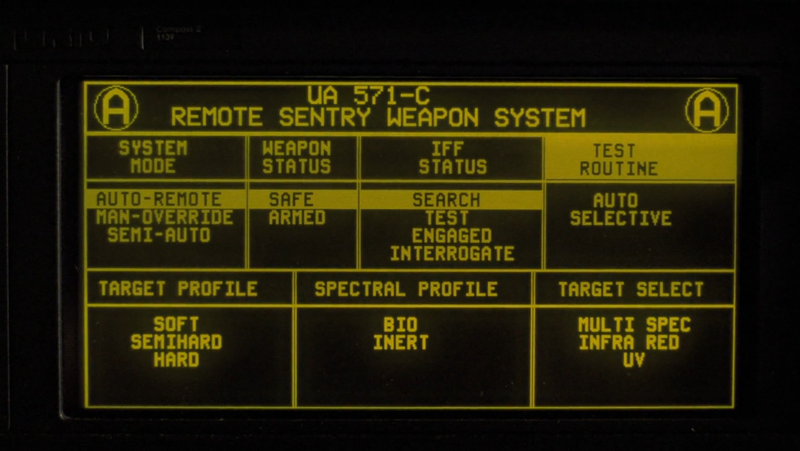 Similar to the Eric Pakurar’s Chemical Warfare Project. This entry was posted in street, tech and tagged augmentedreality, berlin, graffiti, qrcodes, sweza, video on May 27, 2010 by jonathan. Vinyl stickers for MacBooks isn’t new. Etsy lists 1075 results. Of course many of them aren’t that good, but I do like the ones that integrate the laser cut apple in a clever way, like Moses on the Mount from above. A while back, I thought about laser etching my laptop. 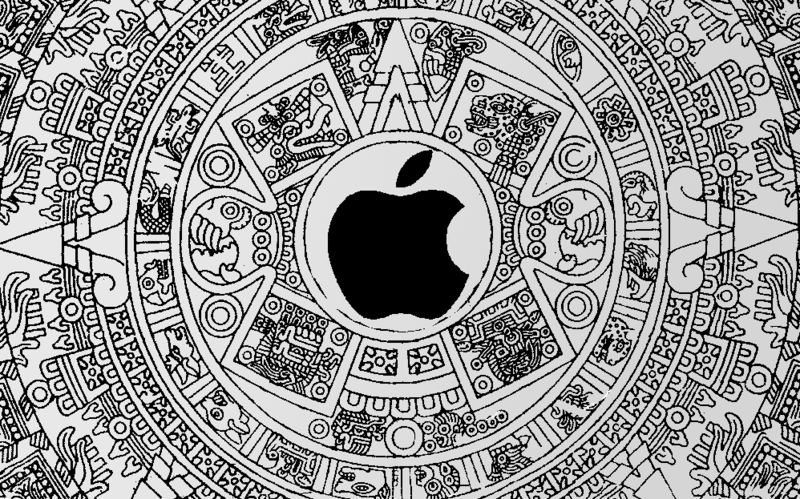 I thought about placing the apple in the center of the Aztec calendar. Ultimately, I decided against it because there just isn’t enough room to really show what the motif is. 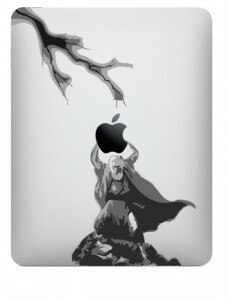 This entry was posted in illustration, personal, street and tagged apple, graffiti, stickerart on May 21, 2010 by jonathan.